It is a matter of history that when Supreme Commander of the Allied Forces, General Dwight Eisenhower, found the victims of the death camps, he ordered all possible photographs to be taken, and for the German people from surrounding villages to be ushered through the camps and even made to bury the dead. He did this because he said in words to this effect: 'Get it all on record now - get the films - get the witnesses - because somewhere down the track of history some ( Axxxxxx) will get up and say that this never happened. Recently, the University of Kentucky removed The Holocaust from its school curriculum because it 'offended' the Muslim population which claims it never occurred. This is a frightening portent of the fear that is gripping the world and how easily each country is giving into it. It is now more than 60 years after the Second World War in Europe ended. This is in memory of the 10 million Ukrainians, 10 million Russians, 10 million Christians, 6 million Jews, and 1,900 Catholic priests who were murdered, massacred, raped, burned, starved and humiliated with the German and Russian peoples looking the other way! Now, more than ever, with Iran, among others, claiming the Holocaust to be 'a myth,' it is imperative to make sure the world never forgets. I am looking for information on my grandfather. Sandor Varga born in 1889 in Budapest, Hungary. We were told by the Red Cross after WWII, he was taken to Dachau. They have no record of him being there. It is my mother's idea he was shot in one those mass graves along the way. I would still like to search some more to completely illuminate the possibilities of him been taken to any camps. Can you help me in any way? If you could, I would be very grateful. My father is alive at the age of 83. He is a survivor. To : Commanding General, 12th Armored Division. (1) It seems they had problems to define the Ukrainish people.....sometimes in their reports they mention them as 'Russian Ukrainians' or as 'Polish Ukrainians'. There are some reports of stealing bicycles and threatening Germans to give them food or clothing (the DPs were preferred to to live better in camps so). Soon a big number were brought to Ansbach and Bamberg. 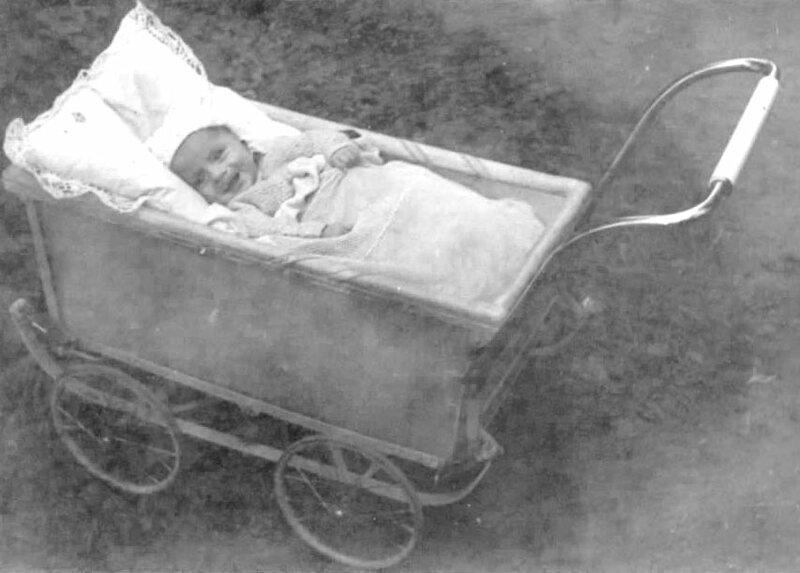 But a great number remained there, not only in the town of Dinkelsbühl but some at their assigned farms or in many small places in the small communities nearby. The mayors of the communities had to take care of them, i.e., required to get the same food as the Germans. A thousand refugees from Sudetenland were taken from Dinkelsbühl. Another 1000 'Poles' (1), Serbs and Croats were transported to Ansbach. On 3 Oct. 1945 were 391 DPs in Dinkelsbühl District. On 10 Nov. 1945 there were 500 DPs in Dinkelsbühl District. • CC Kdo of Flossenburg, working for Bernsdorf & Co.,Desden A, 21 Schandauerstr. 68, prisoners: 150 men, 250 women. • CC Kdo of Flossenburg, working for Universelle Muschinenfabrik J. G. Mueller & Co., Dresdent 24, (machine shop) Zwickauerstr. 46/58. 679 prisoners in 1945. • CC Kdo of Flossenburg, working for Zeis Ikon.Werk Goehle, Dresden, (Optics), Riesaerstr. 32, 680 women prisoners in 1945. • CC Kdo of Flossenburg, Schandauerstr 68, 500 prisoners: 200 females transferred to CC Theresienstadt; 250 evacuated to Pirna. Ehingen Ehingen has its own page with photos. These photos, taken during the war, are of my father and uncle. They were the fortunate slave labor; were able to work around horses instead of the factory...and were fed. The forced labor in some factories were on starvation rations of one slice of bread, one cup of coffee and one bowl of watery soup per day. Archived papers say John was a valued worker. The farmer he was assigned to was authorized to have a slave worker because he had a son in active duty. Emilion worked for another farmer down the street. Here is photo of my husband's brother, Mieczyslaw. His original birth certificate states he was born in EMMERICH DORNIK, Germany. Will you please let the world know where in Germany this place is as my sister-in-law said this place could not be found in World Atlas when my brother-in-law was applying for Australian War Pension. He gave 9 years of his life to the Royal Australian Navy. After 1940, the labor office in Weilheim, assigned five Poles (along with the two children of a married couple), six Ukrainians and thirteen Russians to work in our monastery. In the subsequent years, thirty-five French prisoners of war (but not all at the same time) were also assigned to work at our monastery. After 1943, sixteen of these French war prisoners continued to work at our monastery as "Civilian Workers" and were duly compensated for their labor. Indeed, as "Civilian Workers", the sixteen French employees of the monastery could return home during their vacation and they could also transfer their earnings back to their families in France. Many of these transfer bank receipts were found in the monastery's administrative records. 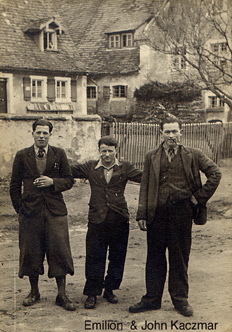 As from 1940, the labour office in Weilheim assigned foreign workers to work in the different monastery concerns. These foreign workers took the place of the monks and lay employees who had been called to join the military service. For the most part, the foreign workers were assigned to work in the monastery's agricultural undertakings, the cloister sawmill as well as in the cloister and school kitchens. The "Heimschule", the monastery's school, was confiscated by the state and renamed "Deutsche Heimschule" and ran under the auspices of the state. I happened upon your website this morning and chills went up and down my spine. I am doing research regarding my mother's imprisonment in Nazi Germany's concentration and labor camps. Her memory is sharp but the spelling of the camps and towns are not. I came across the information I need and more. I want to say THANK YOU for establishing this website. I think I remember coming across a page with gravesites. I have a sister buried in Eutein, Germany. I was wondering if there is a website on this. I came up short. My mother is of Romanian descent. Her village was 3 miles North of Siget, not far from Elie Weisel. She was deported to Auschwitz in 1944 and then to Lubberstadt and worked in a munitions factory. She was shot by British soldiers who thought the train full of prisoners were Nazis trying to escape. The British sergeant who helped her and her cousins settle in Eutin and get medical attention was named Ernest Finch. He was helpful in getting her settled in the US. My family is Jewish, so I assume my sister Helen Caterina Grosz or Gross is buried in the Jewish Section in Eutin. She died at 5 weeks old. Once again Ukrainians aren't mentioned. If Polish and Russians were there, 3000 Soviet prisoners were buried there -- so there must have been Ukrainians there. • Stalag XID, which was within sight of the Stalag XIB and had one purpose; to hold Russian and Ukrainian prisoners. The Russians despised the Germans and the Germans despised the Russians. For this deep hatred the Germans provided special accommodations for their Russian prisoners. During 1941 and 1942, over 33,000 Russians arrived at Stalag XID. The Germans didn't bother to build barracks for their Russian captives. They had them dig holes in the ground. These holes were their "homes" during their first winter in Germany. 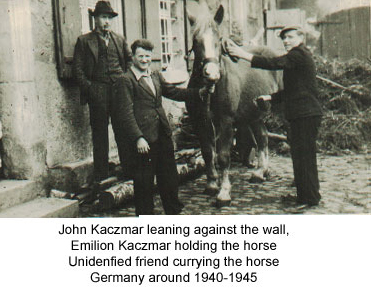 My research has shown that some Germans considered this the easiest way to handle the prisoners. When they died, the holes were just filled in. Of the over 33,000 Russians that arrived at the camp, only 1,800 remained alive at the war's end. 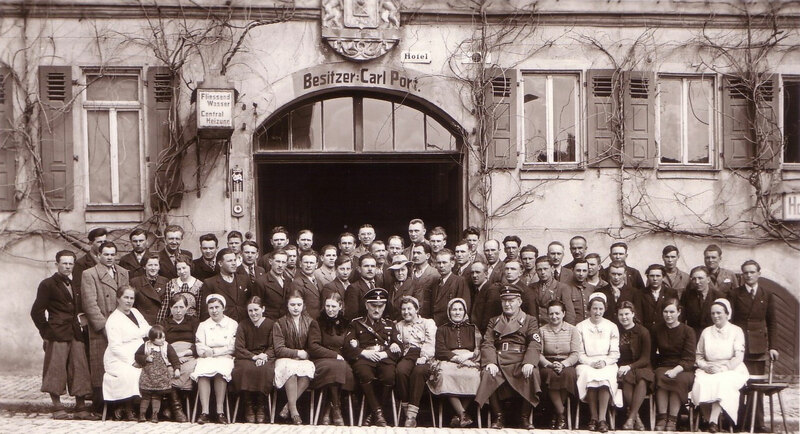 • Another district camp was Stalag XIC; it was part of the infamous Bergen-Belsen concentration camp. The camp where Anne Frank and so many others died. • Now back to Stalag XIBThe war was closing in on the Germans. Stalag XIB became a central camp and very over-crowded. Prisoners were moved from other camps as the Allies pushed in from the East and the West. At this time the German army was short of able-bodied men so the camp was guarded by middle-aged men and not the young crack troops of Hitler's earlier years. These men were tired and probably didn't want to be there either. Liberation did come on April 16, 1945 when a reconnaissance troop of the 8th Hussars, part of the Famous British 7th Armored Division (the "Desert Rats") found the camp. Here is enclosed the foto of the: "Arrival of the "migrants" in Feuchtwangen 1940.
thanking her very much - she allows to publish it. 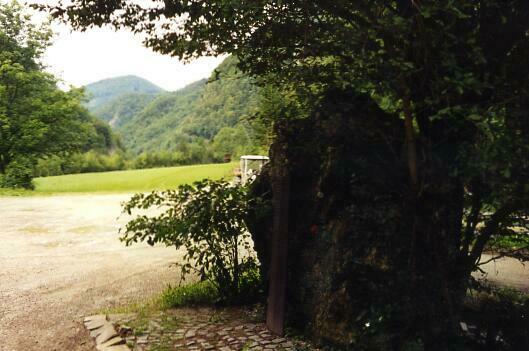 The name of the guesthouse where this foto was made was "Alte Post" (Old post). On the request of the Hnizdovsky Family I'm trying to find any information about the Chapel erected at Flossenburg Consentration Camp. A elderly lady said that J. Hnizdovsky the Ukrainian artist either drew a painting, or made a stained glass for the chapel. We are trying to research this. Thank you for any help or any leeds. Headline: "Number of kidnapped persons"
"All together 550,372 kidnapped persons were on 30 October in the US zone of Germany. In October 28,408 persons were returned to their homeland; 2,453,789 kidnapped persons were repatriated and 8,508 settled in Germany." French Chapel of Oflag VI A The building complex is first used as a camp for displaced persons and later to house expelled persons and finally, until 1994, as Belgian barracks. This was followed in Godenau, as in many similar systems also, the takeover of the shaft with the premises by the Wehrmacht. This began in 1935 with the renovation and expansion work on the establishment of Army ammunition factory (mine) Godenau. For the new task have been setup in days various ammunition chambers for the storage of finished products and powders. As a new headframe is 1938 24 m high reinforced concrete structure was built. Outside the bay area further plants have emerged. Between 1936 and 1938 the village Limmer, the production area was built to the west with various workhouses and industrial buildings. On the southern edge of Godenau the Wehrmacht established an extensive labor camp where the workers were housed. In this context, it also came back on the use of foreign and forced laborers. For Godenau an occupation with an average of around 400 workers is documented. 1938 began the production and accumulation in the Heeresmuna. Mainly cartridges and small parachutes are manufactured here. The operation ran until the end of the war. On 8 April 1945 reached Associations of the U.S. Army the area, ending the Second World War for this region. The surrounding area has been handed over shortly after the war according to the contract by the Americans to the British.The Allies began in 1946 with the demilitarization of the system. The embedded powder stocks were burned. In October 1947 there was a serious incident from underground. Here, around 3,400 t powder exploded. Also at the mouth hole of the shafts came thereby to destruction of reinforced concrete headframe has been destroyed. Later, all parts of the ammunition depot walked in civil-use properties. The bay area is used commercially today. Between 1984 and 1986, "Desdemona I" was filled in July 1987. From the former labor camp has become a residential area.The production area could develop with various different companies after the war in a commercial area. Diverse historical factory buildings are still preserved. Almost all are used and are depending on the use and ownership in different states. The historical uniform and typical construction is, however, clearly be seen everywhere. This is evident especially in the former manufacturing area. Today, various companies use the historic building. These were new modern buildings in and around the grounds. Over the years, the farms stretched from beyond the original factory border. Beeskow (Lower Sorbian: Bezkow) is a town in Brandenburg, Germany, and capital of the Oder-Spree district. It is situated on the river Spree, 30 km southwest of Frankfurt an der Oder. Concentration camp in Lower Silesia opened in August 1940 for Polish male prisoners. Initially a subsidiary of Sachsenhausen, by May 1941 Gross-Rosen became an independent concentration camp. On February 13, 1945, the camp was liberated by the Soviet Army.
" Sometimes we slept three deep in the mud of the barracks," an inmate related. "We were too weak to move out the dead, too weak to move ourselves, so we slept with the bodies." All the inmates were vermin-infested and many were covered with huge, open sores."